It's International Bacon Day! 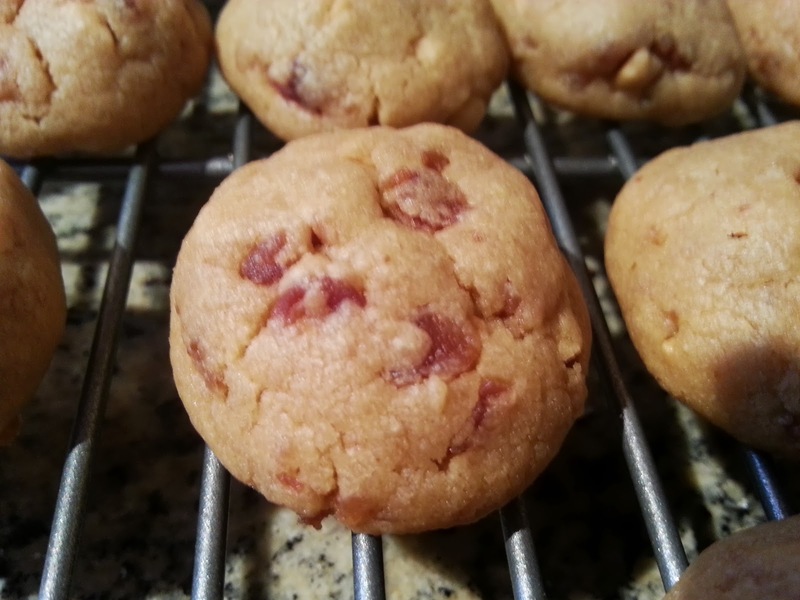 To celebrate, here's another awesome cookie with bacon in it! 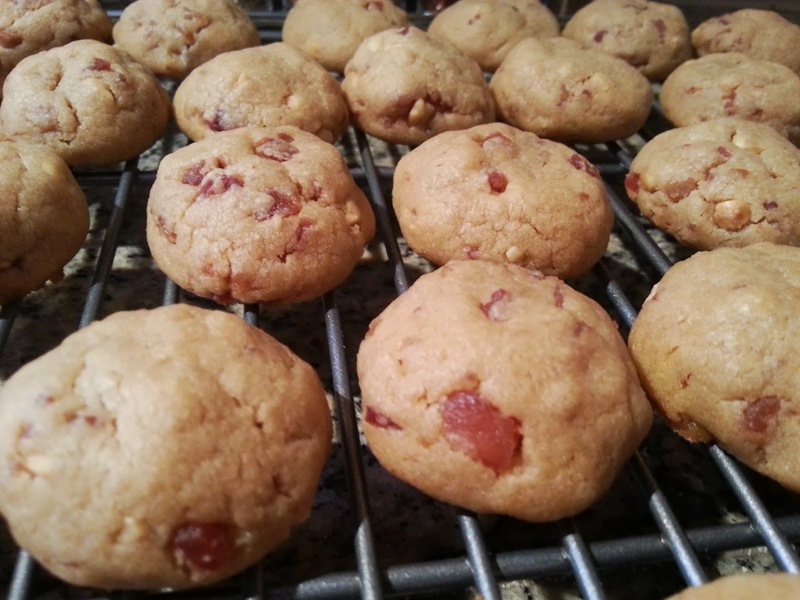 Shortly after I made the Peanut Butter Cookies, I saw an article on 22 desserts improved by bacon, although I'm not sure why they only listed 22 because isn't everything improved by bacon? 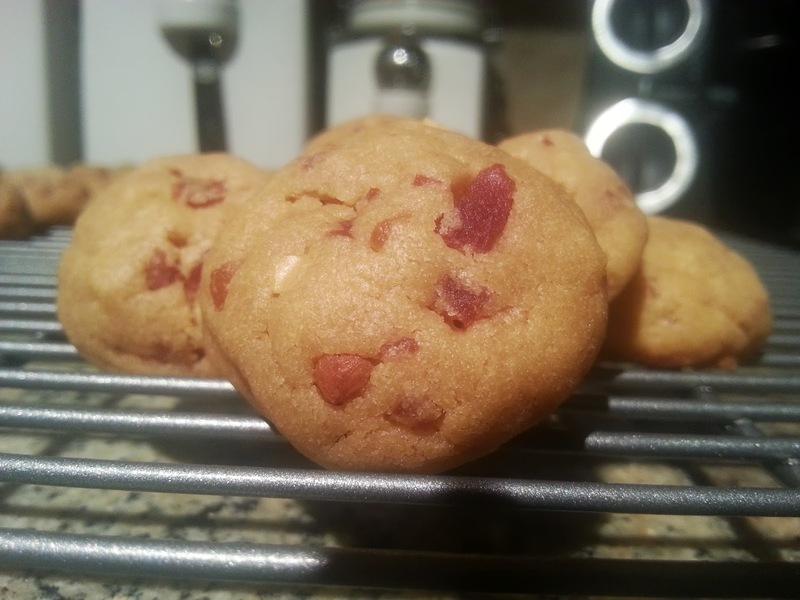 Anyway, after seeing the article I was like, "Bacon in the cookies; how did I not think of that?" So OF COURSE I decided they needed to be made ASAP. I meet up with a group of friends on Tuesday nights for trivia. I brought these along and they were an instant hit. Even the servers at the restaurant wanted in on the action (yes, I shared). I then decided to bring the rest with me on a visit to my parents' at sea level. When I pulled them out and told my family they were peanut butter and bacon they all scoffed at the idea. I was a little upset that they were being so closed minded, especially since my dad had devoured the Caramel Bacon White Chocolate Chip cookies I had made previously. The next morning my dad shows me the container, now half empty, and says he couldn't stop eating them. So, I win. In a medium bowl, sift together flour, baking soda and salt. In a mixer, blend together butter and sugars until smooth. Mix in egg, vanilla and peanut butter. Slowly mix in the flour mixture a little at a time until everything is completely blended. 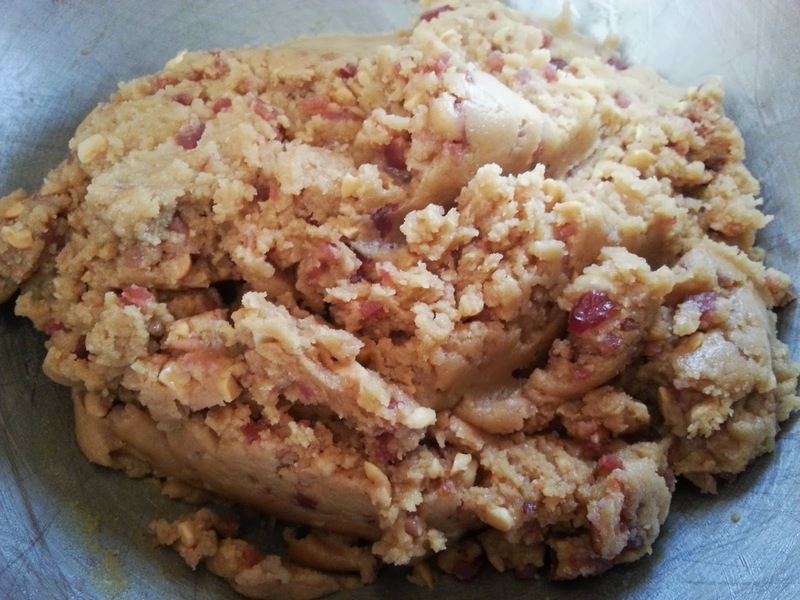 Stir in bacon. Drop cookies, about an inch around, onto an ungreased cookie sheet about an inch apart. Bake for 10-12 minutes. Remove cookies from the cookie sheet immediately and place on a cooling rack or wax paper.